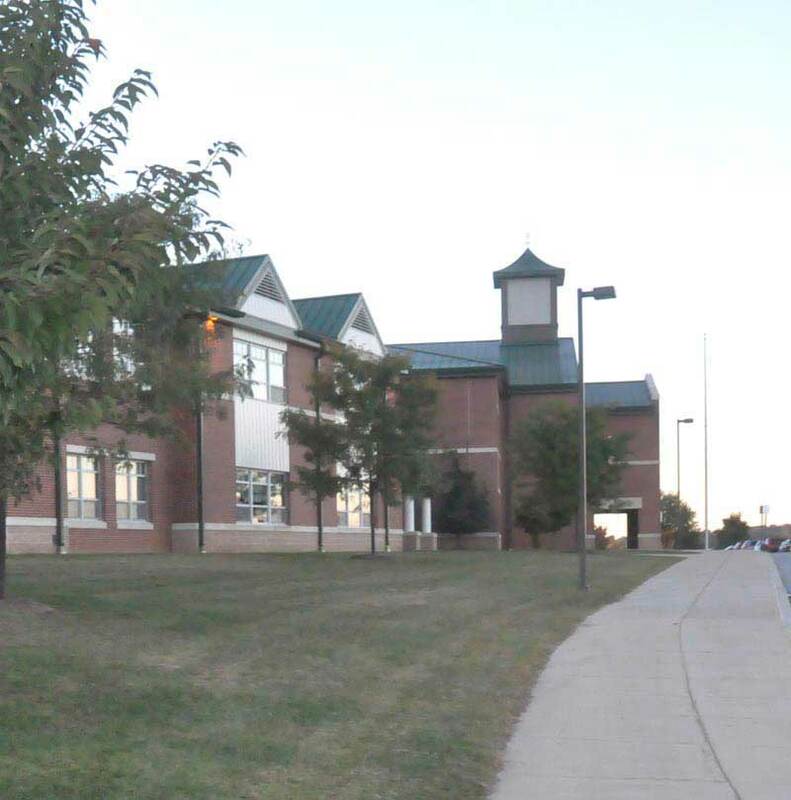 Pocopson Elementary and its three sister grade schools appear destined to remain in their current kindergarten through fifth grade format, after the Unionville Chadds Ford Board of Education rejected a proposed district goal to study building utilization. POCOPSON — Reworking the Unionville-Chadds Ford School District elementary schools is off the table. The Board of Education was unable to get five votes Monday night for a motion to make studying potential changes the district’s neighborhood school plan a district goal — including a option to have two kindergarten to second grade schools and a pair of third through fifth grade schools, deadlocking at 4-4. Outgoing member Paul Price was absent from the meeting. The remaining district goals were approved, 8-0, in a later vote. The sometimes stormy and emotional meeting put to rest the issue for the time being — although as noted, any current or future board member can seek to revisit the issue — the topic was possibly more charged than usual with five school board seats up for election next month. Before the issue came up for a vote, parents and teachers expressed their concerns about changing from the current K-5 format — noting the fierce community battles over switching the district from its previous K-3/ 4-5 format more than a decade ago — culminating in the 2003 opening of Pocopson Elementary School and the K-5 neighborhood school format. “This is very disturbing,” said Lynne Brookes of East Marlborough, who noted that she did her own research into the issue and found some 20 studies on school configuration, all of which, she said, suggested that students do better with less transitions from school to school. A number of parents followed, echoing the same sentiments, suggesting that if cost savings needed to be found, they be found in another manner. Even Harry Miller of Birmingham, typically a critic of district spending, argued for keeping the neighborhood school plan and finding savings elsewhere. “It’s unconscionable that you’re even considering this again,” Miller said. But some board members suggested that they had a fiduciary responsibility to look at all options — and just because something would be studied, didn’t mean that it would be implemented — citing the earlier transportation, food service and grounds/maintenance studies, all of which led the board to decide against outsourcing, as was widely feared. “I don’t think we’ve seen all sides of this,” board member Jeff Leiser said, expressing his support for looking at the impact of a reconfiguration. Holly Manzone noted it would better for the board to look at this issue now, rather than at some later date when the district is in greater financial distress — when monetary pressure might prevent a more reasoned analysis of the options. She also noted that after the transportation study — which she opposed — didn’t lead to outsourcing bus services, she felt more confident that the process would be fair-minded and without a pre-set agenda. On the other side — Corrine Sweeney, voting in her final formal board session after 18 years on the board, Timotha Trigg, Frank Murphy and Jeff Hellrung all voiced opposition to looking at a non-K-5 configuration. Trigg questioned the basic numbers and assumptions of the plan — suggesting that a K-2 set up might lead to overcrowding at Hillendale and Chadds Ford and that the savings would be less than originally thought. Murphy argued that with the recently concluded teachers contract, two years of rugged budget processes, a new superintendent of schools and the ongoing Unionville High School renovation project, that even if the idea had merit, which he wasn’t sure it did — it was a bad idea to put both the administration and community through yet more turmoil at a point where the district and the community might be able to enjoy a moment of quiet normalcy. Hellrung said nothing initially — voting against the study without comment — having previously been thought to support it. Later in the meeting, as what proved to be the pivotal vote, he did address his thinking. While saying he, too, had read many of the studies, most of which left him unimpressed at their methodology and quality, he suggested that he, too, was swayed by Sweeney’s stance and noted that the current structure was clearly working very well. Murphy, beyond his rejection of the proposed study, was equally vehement that both he and Trigg were put in an impossible position because of politics. With both on the ballot in November, he suggested that however he voted, it would be attributed to politics, not his actual opinion, something he said he finds frustrating. Trigg, though, appeared to be even more upset — and addressed it in the final minutes of the meeting. Fighting back tears, she related discussing another issue with her daughter — whether she could vote for what she thought was politically expedient, rather than what she really believed was the proper choice. She made it clear to her daughter, then, she said — and last night to the audience, that she feels she cannot go against her conscience, regardless of the political impact. I don’t understand the hysteria that runs through our School District whenever reconfiguration is so much as whispered. The parents of UCFSD are presumed to be well-educated which should make them stop and think for a moment, “What’s this all about, anyway? Maybe I need more information.”, instead of shooting from the hip and saying the idea is “unconscionable”. Come on now, “unconscionable”? The Board was doing exactly what they were elected to do. I find it “unconscionable” that they voted down a self-guided study that might (or might not) have led to a savings of $1.2 million. The “fierse community battles” of a decade ago were prompted by an ill-advised proposal to close Unionville and Chadds Ford Elementary Schools, convert Hillendale to a District office and build a mega-school for all elementary students which would have been located in the Unionville area. We’ve come a long way since then. We’ve always had community schools, of sorts, and we always will. We currently have 4 great elementary schools and each has a great staff of teachers. That won’t change no matter how they’re configured. I believe our School Board, over the years, has always had the best interests of our students, parents and taxpayers in mind. I believe our Board has always strived to provide the best education for our children at a cost appropriate for this area. Our state ranking bears this out. I have two college-age sons each of whom spent 13 years in the Unionville-Chadds Ford School District. They each went to UE from K to 3, then to Hillendale for 4th and 5th, then to the Middle School-High School campus. (And I spent 10 years during those fierce battles as a PTO volunteer serving, variously, as President, and, mostly, Treasurer.) Although my sons had to switch elementary schools after 3rd grade, their education suffered not one bit; after all, it was still Unionville-Chadds Ford. Did the longer bus ride to Hillendale cause them not “to reach their full potential” as one of my neighbors has suggested? I guess I’ll never know, but my gut reaction is, I don’t think so, since they are both Deans List students at Penn State. (Thank you very much, UCFSD!). And I’m glad those 20 studies only “suggested” and didn’t prove that “children do better with less transitions”. Our children have 3 transitions now; would a 4th be so traumatic? My one factual experience proves, to me at least, it wouldn’t. I can only shake my head in wonder at the parents who think the sky will fall if anything is “changed”, and that’s the issue, isn’t it? Parents hate change; kids adapt quite easily. Educationally, I no longer have direct skin in the game – except to maintain a top-ranked education system to then maintain my real estate value, but that’s being very selfish, sorry. I’m disappointed at the Board members who caved on this study. As Allen Iverson might have said, “Man, this is only a STUDY. A STUDY!”.